February 8, 2018 9:24 am. Martin Cruz is hoping Packing Eagle can prove his worth to be on the international stage in Dubai next month when he competes at Group 1 level at Te Rapa on Saturday. Packing Eagle will be part of a two-pronged attack by Cruz on the BCD Group Sprint (1400m), being joined by his Group 3 Concorde Handicap-placed stablemate Elusive Treasure, and the Cambridge trainer believes the former smart Hong Kong galloper can justify his nomination for the Group 1 Al Quoz Sprint (1200m) on turf at Meydan on March 31. Since then Packing Eagle has finished second to Volpe Veloce in the Group 1 Sistema Railway (1200m) at Ellerslie on New Year’s Day and he had an excuse for his unplaced run last start in the Group 1 Telegraph (1200m) at Trentham. Cruz’s desire to get to Dubai with Packing Eagle stems from a series of trips there for four consecutive years from 2010 for his father, Hong Kong trainer Derek Cruz. Good Ba Ba ran eighth in the Dubai Duty Free in 2010, while Joy And Fun, a son of New Zealand sire Cullen, won the Al Quoz Sprint that year, then returned to finish third to Ortensia in it the following year, second to Shea Shea in 2012 and ninth in 2013 as a 10-year-old. Joy And Fun is now enjoying retirement on the Cruz farm in Cambridge, while Packing Eagle attempts to gain a start in the Al Quoz Sprint. The Group 2 Hong Kong Chairman’s Trophy (1600m) is on April 8 at Sha Tin, the track on which Packing Eagle won his six Hong Kong races, including five straight in 2015 over 1400 metres, the distance of Saturday’s BCD Group Sprint. After winning each of his three trials for Matamata trainers Bev and Ken Kelso, he headed to Hong Kong and, racing as Packing Pins, he was successful on debut over 1200 metres and went on to compete at top level, finishing third in the Group 1 Champions Mile to Maurice in May 2016. He was also placed when second in the Group 3 Challenge Cup (1400m) and third in the Gr.2 Sprint Cup (1200m). Packing Eagle has had five starts since being trained at Cambridge, initially in the partnership of Cruz and his brother, Trevor. 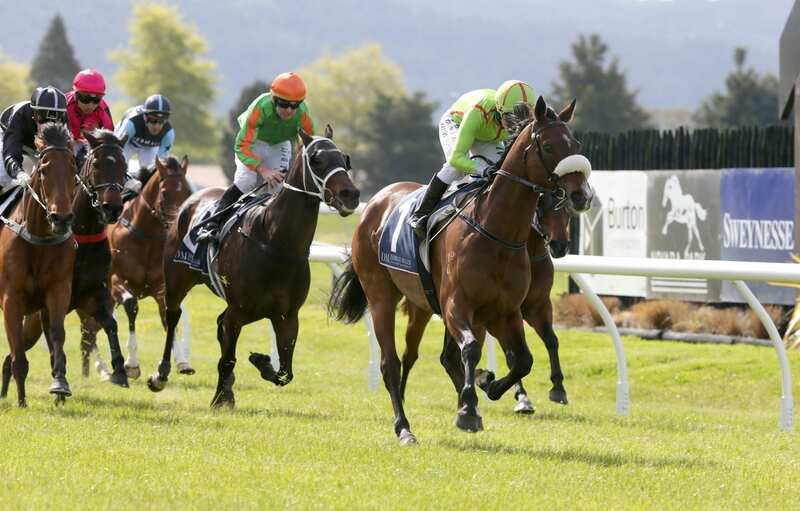 The Pins seven-year-old provided the brothers with their second black-type win when taking the Group 3 Sweynesse Stakes (1215m) at Rotorua last October. Their first stakes highlight was in November 2014 with another former Hong Kong galloper, Fay Fay, in the Gr.2 Stella Artois Tauranga Classic (1600m). Martin Cruz is in his fourth season as a trainer and has been training on his own account since mid-December. Each of his two wins on his own have been at Te Rapa (Elusive Meteor on December 16 and Winmotion a week later) and he is hoping his Te Rapa luck continues this weekend. Winmotion will be the first of his Te Rapa runners on Saturday in the Distinction Hamilton Hotel 1400m, then a race later all attention will be on Packing Eagle and Elusive Treasure, who are also raced by his mother, Angel. Trudy Thornton has been the regular rider of both horses and has elected to stick with the up-and-comer Elusive Treasure, while her premiership-leading daughter, Sam, will be on Packing Eagle.